Our Life Group is starting a new Alpha Course tonight! 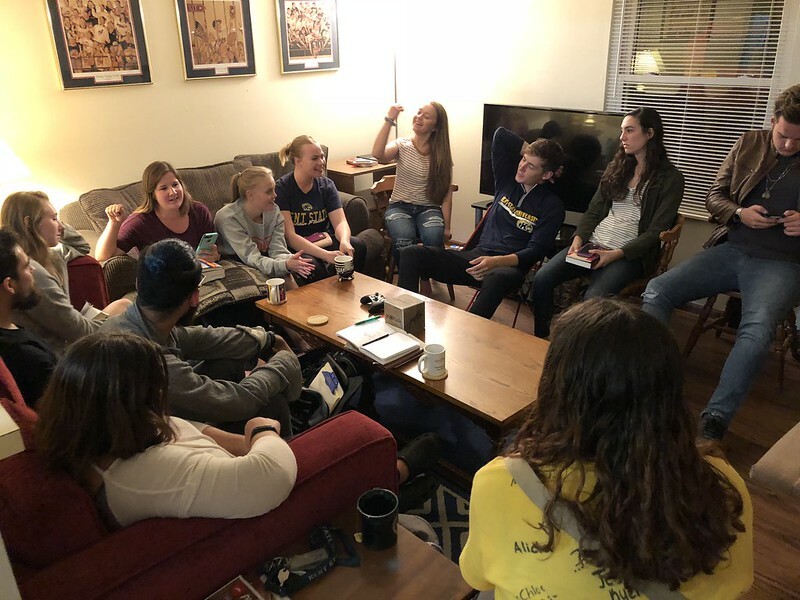 Please pray for us and with us, as we hope to start a semester-long dialogue: with new Christians, with people seriously considering the faith, and with people who would self-identify as non-Christians. I believe there is strong reason for optimism and hope about this initiative. At the same time, we really have no idea what to expect for tonight or the rest of the semester. 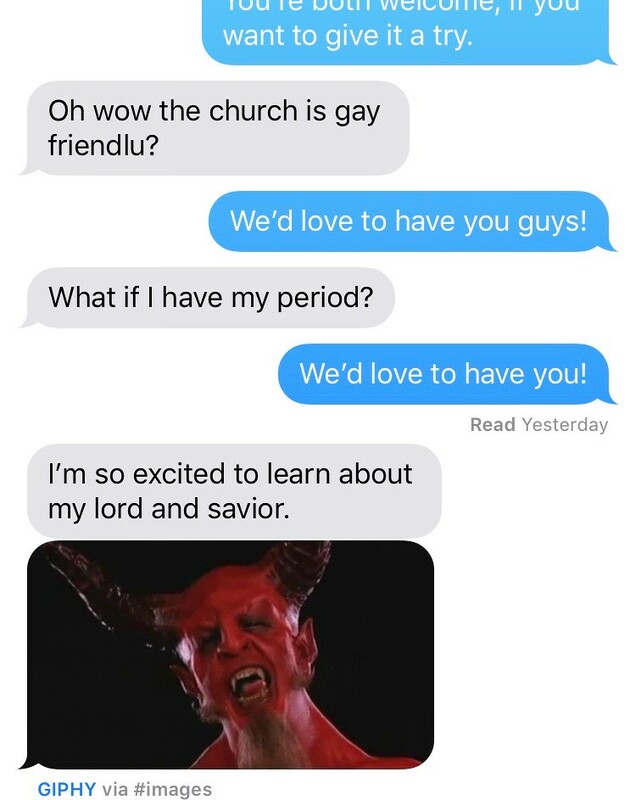 I’ve been sending a lot of text messages about the Alpha Course, and there was one interaction that was particularly unusual. 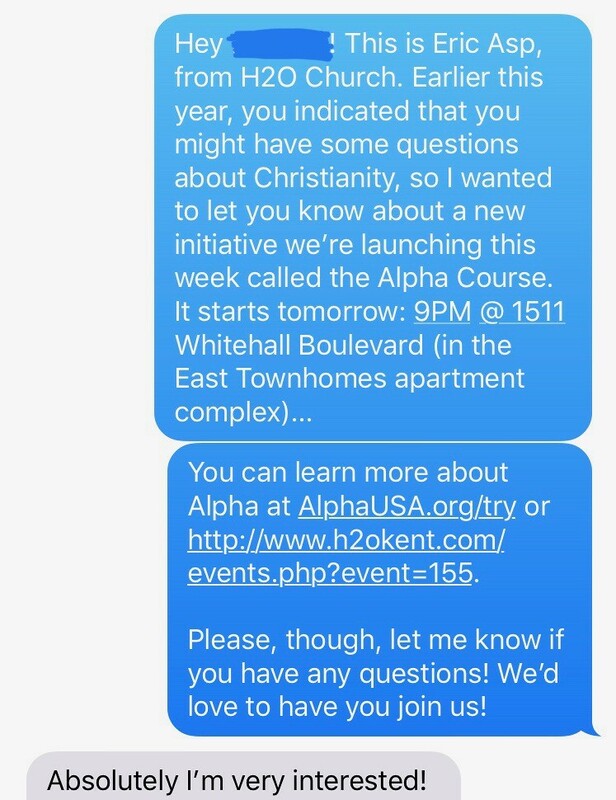 I started with giving this person the same information that I texted out to everyone else in H2O Kent’s database who had indicated that they might have some Questions about Christianity at some point or another during this school year. I was surprised, actually, by how quickly he responded — and with an apparent interest in getting involved! 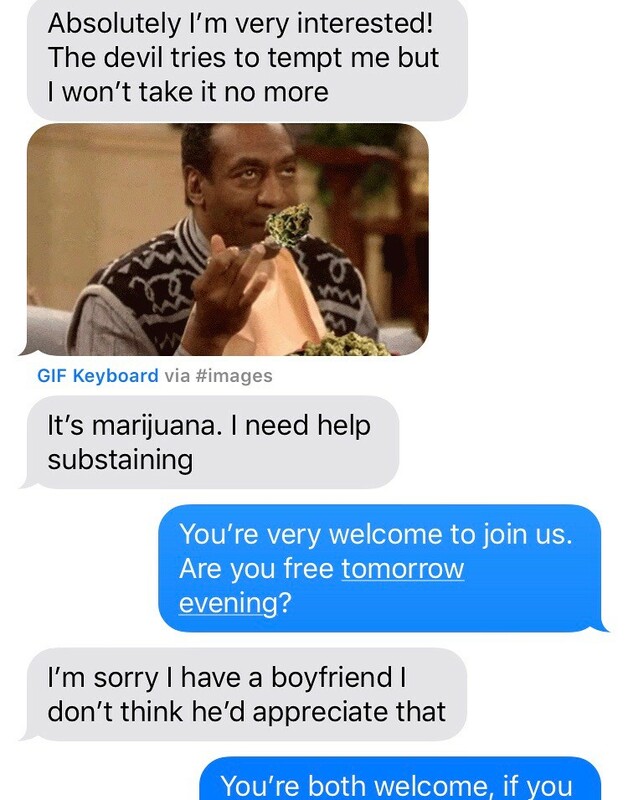 But as our interaction over text messaging continued, I began to sense that the other guy was more interested in using our text conversation for amusement or antagonism, as opposed to actual engagement. I chose to stick with “Dumb and Cheerful” as my response tactic. I honestly don’t know what sort of effect our interaction might have had, but I was praying that God might use it in some way (even if on a subconscious level). In the end, I took too long to respond to his last GIF that I felt it was probably best to let the interaction die. Still, I can’t completely get this guy out of my mind. Interactions like these are either “unfortunate” or “amusing,” depending on how you look at it (and I really think there are elements of both). Still, I believe that the spiritual battle at Kent State is real. That’s why we’re putting it in God’s hands — and we ask you do join us in doing the same. This entry was posted in Church, H2O Kent, Kent, Ministry, Prayer, Small Groups. Bookmark the permalink.